Covert security cameras are small security cameras made for hiding in unusual places in order to eliminate detection. Their uses are for a variety of purposes and they are one of the most modern technologies used by contemporary security companies. I will present a few different scenarios and benefits for incorporating pinhole covert security cameras in your surveillance system throughout this article. For additional information about the products discussed visit our website at Security Camera King. 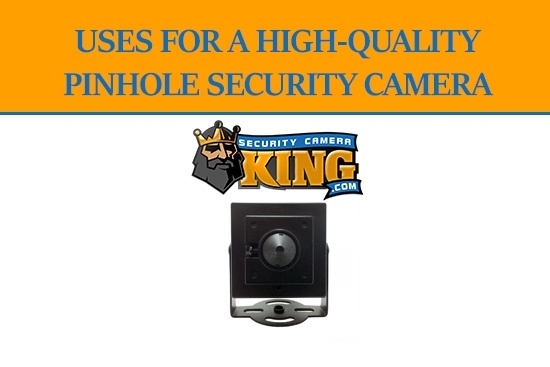 A variety of different surveillance systems can benefit from pinhole or covert security cameras. Pinhole or covert security cameras are mainly used to secure locations that need an inconspicuous or hidden security camera placement. To covertly record or spy on visitors to your business or home is one of the most popular reasons we see people utilizing pinhole or covert security cameras. Employee monitoring has become more and more essential and is another of the main purposes for pinhole or covert security cameras. Lastly, we have seen an increase in criminal activity in places that flaunt their surveillance system. Since these sort of systems can symbolize a bigger prize for the criminals we have seen an increase in the use of pinhole or covert security cameras. As previously mentioned, I will lay out some scenarios to show the practical uses for covert security cameras. In a home setting it is not uncommon to have housekeeping companies or babysitters over while the owners of the house are gone. The truth is, nobody wants a typical security camera facing them at all times, and they make for very poor home decorations. But, there is no denying the necessity for security cameras in order to prevent theft or hold those that are working for you accountable. True pinhole or covert security cameras are able to be hidden in walls, clocks, plants, and other everyday items. This is one of the main features that makes covert security cameras different. Though their footage was once rough and almost indistinguishable, our new products have seen a great improvement in resolution to give quality footage for identification reasons. This allows you to rest easy and feel that you are wholly protected from theft. There really is nothing wrong with employee monitoring. Though it can be an uncomfortable topic to bring up, most employers do keep footage of their employees to ensure they are held accountable for the money they are making, whether it is in your private home or in your business office. Again, your peace of mind is the target in this situation. The option to post signs that say “You Are Being Monitored” is a direction a lot of people take, and pinhole or covert security cameras give you that security footage without those being watched the exact place to avoid detection from this system. In our experience, the truth about most people in our modern society is that they are only uncomfortable with being recorded while working when their activity is shady and criminal-minded. Do not allow yourself to give up your own peace of mind when you can easily assure yourself of the work performance of those you need to monitor. This covert camera was designed specifically for hidden purposes. It is able to be installed in a wall if it needs to be conspicuous. Its length is under 3 inches and is runs on typical 12V DC power. 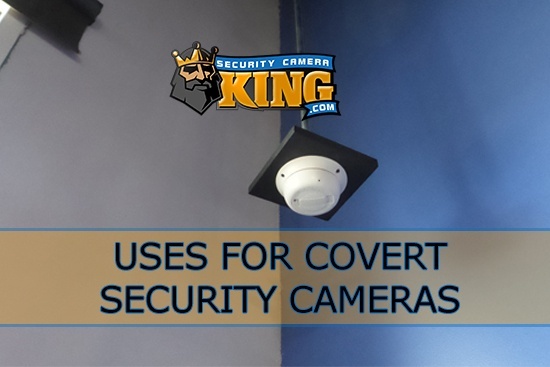 This covert security camera works only with CVI compatible machines. Its lens is a 2.8mm fixed lens and is perfectly suited for parking lot monitoring or for locations that need wide angle views for complete protection. Additionally, is has free US-based tech support for the duration of its life and comes with a one year warranty. Inside the package are an owner’s manual, anchors, screws, and a mounting bracket if necessary. The 2MP HD Over Coax Pinhole or Covert Security Camera is one of the more easily hidden body designs. Perfect for all situations in need of covert security cameras, this design also gives a clear, crisp resolution thanks to it 1.2/7 inch CMOS Sensor and its 3.7mm fixed lens. The footage is brought in 1080p at 30fps in a 2MP size. The design is only 1 ½ inches square, contains no LEDs, and does not have an on-screen display. 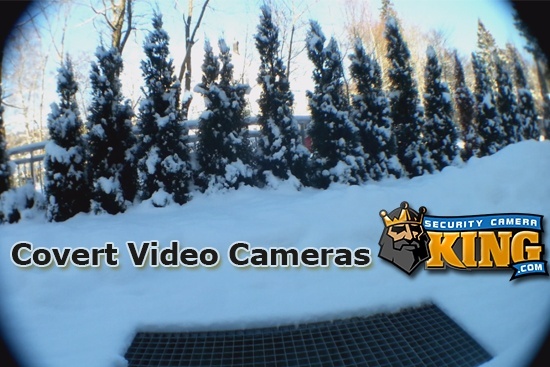 As an online manufacturer and online distributor Security Camera King leads the security camera industry. We have offices in Wheat Ridge, CO and Boca Raton, FL, and partner with TechPro Security to make sure all of our products are properly installed for each of our clients. Our expert security technicians offer exceptional customer service and make any complication easier for anyone using one of our cameras. 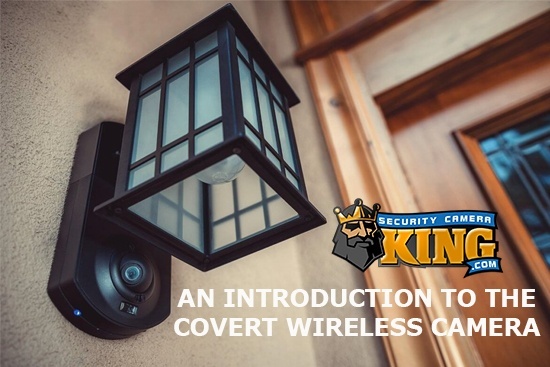 For additional information regarding our covert security cameras or other surveillance equipment investigate our website at Security Camera King and CONTACT US with any questions about how we can help you.